A petition started by EU employees against former European Commission President José Manuel Barroso has gathered more than 150,000 signatures. 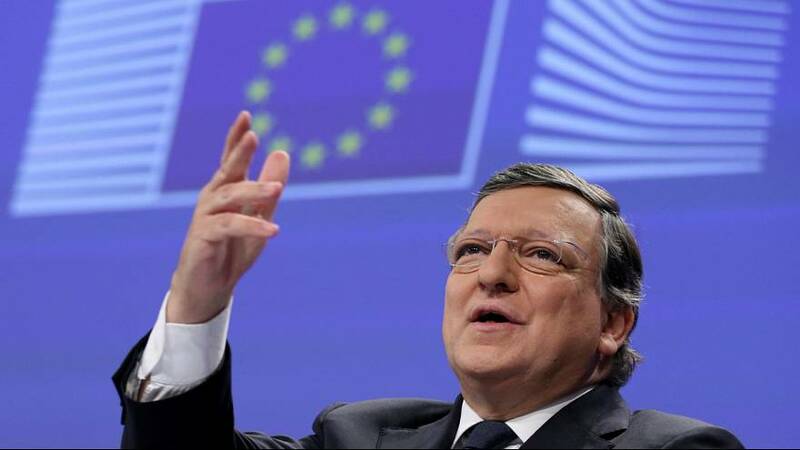 They want action to be taken against Barroso for joining Goldman Sachs. The petition says he should be stripped of his EU pension. It will be delivered to the European Commission on Wednesday by retired employees. They want the so-called revolving door culture at the EU’s institutions to come to an end. One current employee, who wanted to remain anonymous, says current Commission president Jean Claude Juncker must step in. “We sincerely hope there will be a reaction, there will be reactions from the European institutions, the President of the European Commission in particular, Jean-Claude Juncker,” the employee told euronews. The employee claimed there was the “possibility” that the case could go to the European Court of Justice. Amid the Barroso uproar, former Commissioner Neelie Kroes was found to be listed as a director of an offshore fund in Bahamas during her tenure in Brussels. There is no suggestion either have done anything illegal, but it underlines the blurry EU ethics rules. Commissioners usually should wait 18 months after leaving office before accepting paid roles in the private sector, as was the case with Barroso. But his appointment as an advisor to Goldman Sachs is controversial owing to its role in the Greek debt crisis and the US subprime crisis.